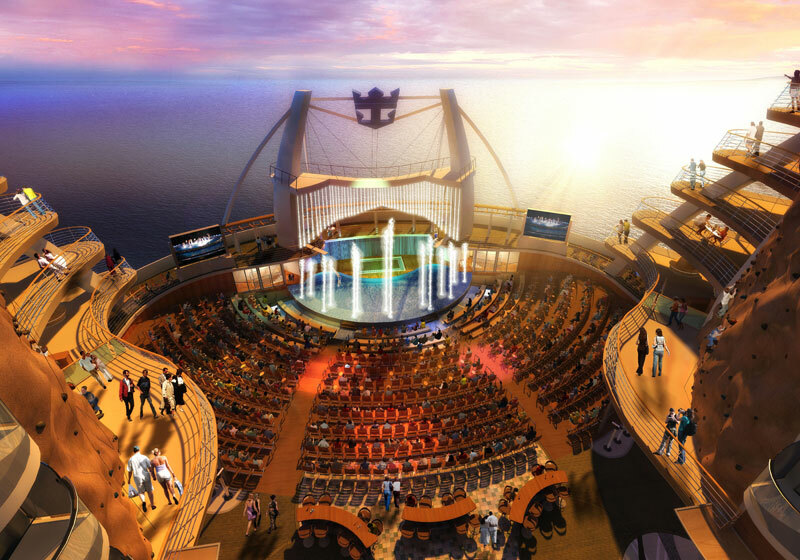 Oasis of the Seas will also hold the first ever full amphitheatre at sea. If it’s not a world’s first, it’s a world’s largest. That’s right, the Royal Caribbean’s new ship, Oasis of the Seas, is now the world’s largest ship – and is almost 50 percent bigger than the Queen Mary 2, the last ship to visit Australia’s shores. 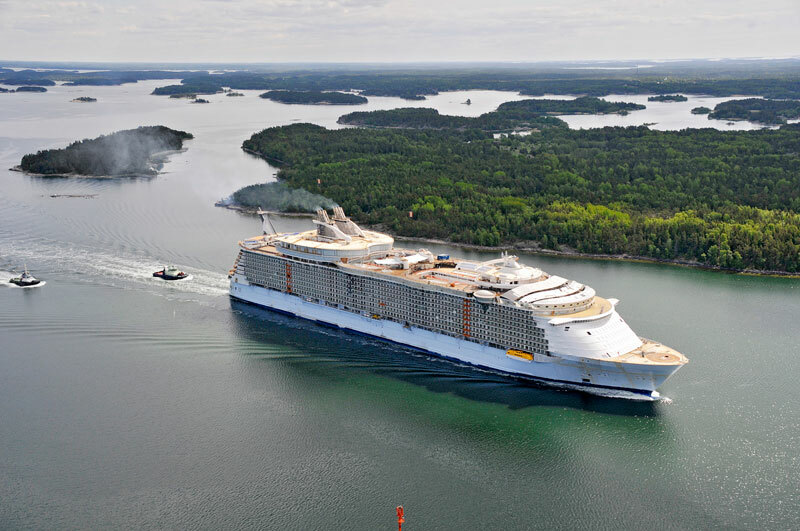 To give you some sort of idea of the size we’re talking about with Oasis of the Seas, if you placed her vertically next to Queensland’s giant Q1 residential apartment building, it would be 38m longer, or 360m total. 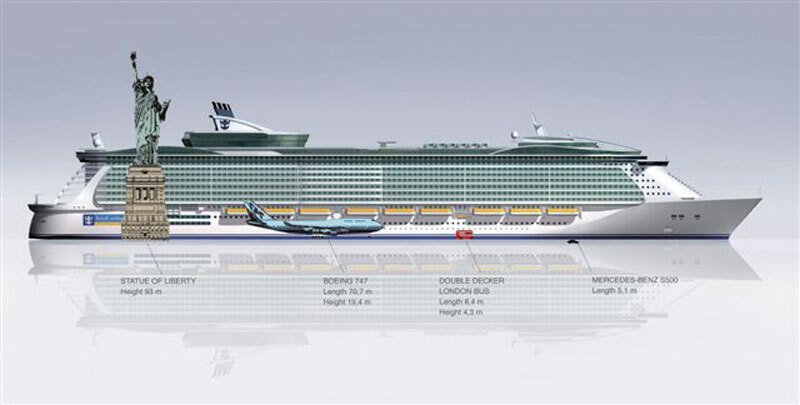 The width of the ship is more than the Sydney Harbour Bridge, trains, lanes and all, and it has a guest capacity of 6300. All and all, it’s pretty bloody big. It also has a few world firsts. World’s first ever living park at sea, first ever carousel at sea, first moving bar at sea, first ever zip line at sea (shooting 25m over the Boardwalk neighbourhood), first amphitheatre at sea which, incidentally, also holds the world’s largest and deepest pool at sea. 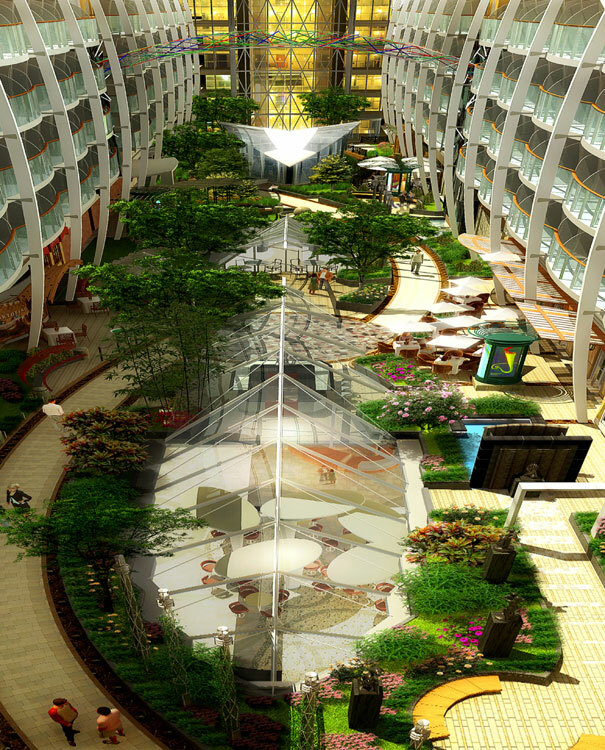 Oh, and the largest jogging track at sea. Is that all? Not really. 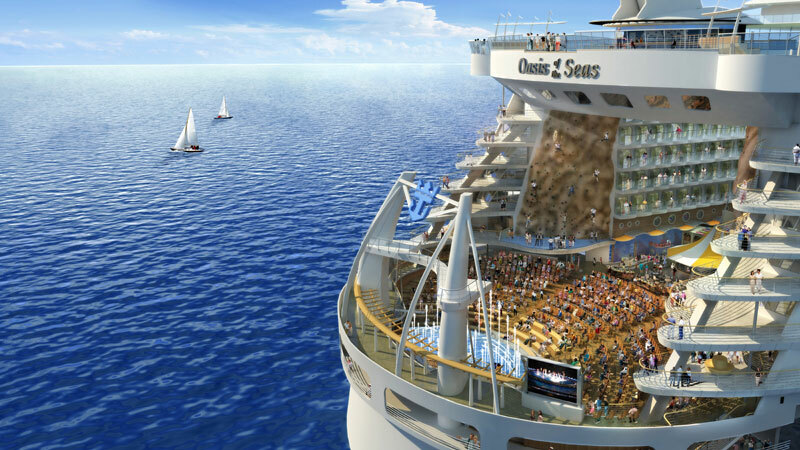 There’s also the world’s largest Coach store at sea, world’s first cupcake store at sea, first ever beach pool at sea, and the smash hit Broadway musical Hairspray will be on board for the first three years. There’s probably a world something in there, too.